Welcome to your faculty online eStore, where you can easily find and purchase the equipment you need to carry out your units of study. If you are unsure of what it is you will need, click here for your faculty specific requirements. Note that only students within the School of Chemical and Biomolecular Engineering are required to purchase course equipment. 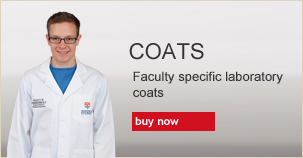 The lab coat available online is embroidered with the University of Sydney and faculty/school specific detail (Preferred), however lab coats may be substituted for alternative equivalent white lab coats. 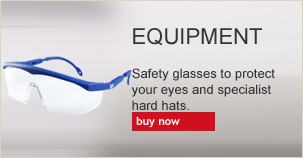 Please be aware you will need to have your lab coat and safety glasses delivered in time for the start of Semester One (beginning of March). To jump straight to shopping, click on one of the images below.